Dating app Tinder has become extremely popular with its swipe left to discard, swipe right to approve a potential match. Today, Tinder has announced a new option. By swiping up, you can 'Super Like' a particular male or female. 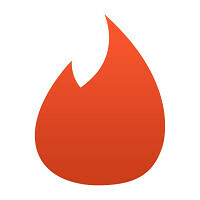 Tinder users will have the ability to tag someone with a Super Like just once every 24 hours. Why? As Tinder CEO Sean Rad says, this limitation makes it a more powerful signal that you are attracted to a Tinder user. Instead of swiping up, a Super Like can also be posted by clicking on the new blue star icon on the screen. Those whose profile receive a right swipe approval can't see that until they themselves swipe right on the user that approved them, thus creating a match. However, with the new Super Like, those who receive the highest honor that one Tinder user can bestow on another, will be able to see that they have been so-honored without having to wait for a match. The new feature is launching now in Australia and will be rolled out globally later in the year. That might give Tinder a chance to see how everything plays out with the new option. After all, does the Super Like de-value the meaning of a right swipe? Hell Yeah Super Like LOL WTF.